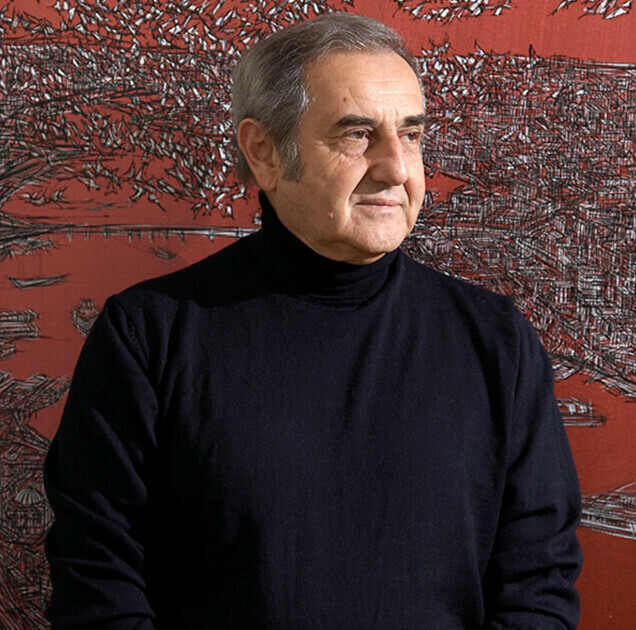 One of the most important living representatives of Turkish Contemporary art, has not only achieved acclaim as an artist of paintings, but also for his artistic endeavours in a number of other fields including tapestry, plexiglass, ceramic and mosaic. Erbil has served as commissioner for such shows held in Alexandria, Belgrade, Sofia, and Kuwait. He has delivered lectures and published articles on the art subject. Works by the artist have been selected for inclusion in the collection of the state museums of Painting and Sculpture in Ankara, Istanbul and Izmir. Works by him are also at the Museum of Modern Art in Bucharest, at the Banja Luca Umjetnicka Gallery, in Ben and Abby Grey Foundation Collection, the Ankara National Library Collection, and in a number of public and private collections in Turkey and abroad.